Seriously my brain is so fried I could not think of anything cool to name this… I am truly sorry. Holy smokes! My bloggy-ego is about ready to explode here! First of all, procrastination and I just want to apologize for taking so long to write up a response post to all those lovely bloggers out there who have so graciously nominated me. 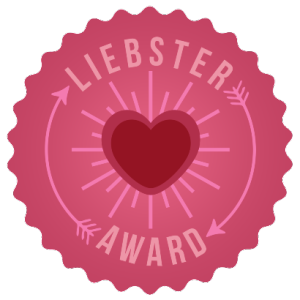 To Not Your Everyday Superhero and Little Birds Dad for having both nominated for yet TWO MORE Liebster awards, and to The Handmade Hippie for her wonderful shout out, I say a big fat thank you!! It truly is a great great feeling to be nominated. Also a great big thank you to “Normal” Is the New Boring and An Arkham Kind of Girl for both of their nominations for The Versatile Blogger award! Eeeek, if I were not so comfortable in my little spot on the couch right now I would certainly be jumping for joy! I’m pretty lazy. I have decided to combine my responses to one big beautiful certain-to-be-full-of-awesome blog post. I did search and found that though there are clear rules to accepting these awards… there is nothing saying that you ARE NOT aloud to cheat, therefore I assume, and until a rule is made that says I can not, it is perfectly acceptable to do as such. 5. Notify these bloggers of the nominations by linking back to one of their specific blog posts so they get notified back. OK so for the the pure fact that I believe this would simply become a ridiculously long post, I mean longer then even I usually write, I will do this instead. Remember nothing says I can, but nothing says I can’t so there… logic right? 1.Thank and link back, DONE AND DONE! And seriously thank you again, this is an amazing feeling. 2.State 7 things about yourself. 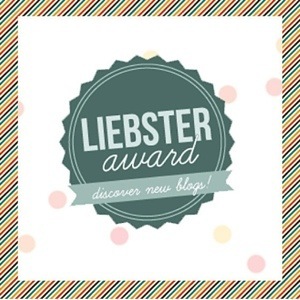 3.Nominate 4 for the Liebster award and 5 for the Versatile Blogger award. 4.Answer a few questions chosen randomly from both nominators! -I am terrified of social situations. -I love to read, my particular favorite genre would be issue driven and/or contemporary YA novels. -I despise baking, not that I do not enjoy baked goods, but that for the life of me I can NEVER bake anything that turns out right, and it stresses me out. -I sort of love most of the shows on the Family channel, probably more then my children. I watched the entire days marathon of Wizards of Waverly place and was secretly very upset when the series ended. -I enjoy turning regular conversations with my children throughout the day into song, like an all day musical! Do you have a favorite restaurant or food? John green, though not an actor or a musician, he is an absolutely amazing author. Words can not describe how in love with his style of writing I am, that and him and his brother are wonderfully hilarious and enjoyable in their vlog on youtube. Seriously back to the first question, favorite restaurant, though honestly it changes often, is Red Robins. If you had a whole day to do anything you wanted what would you do? I would spend the entire day sleeping, uninterrupted and writing, uninterrupted. No one said I was a very interesting person. Though I feel I am a very fearful, anxious, person I would say that my biggest fear would be out living my children. If you had to live on a deserted island, and could take only 1 movie, 1 music album, and 1 book with you, which ones would you take and why? I would bring the movie Memento, the novel The Fault in our Stars (by John Green of course) and the Phenomenon Album by Thousand Foot Krutch. Though if the deserted island had the means to watch said movie and listen to said album I would be very confused. If someone could spend one day in your city, how would you recommend they spend that day? If they were here during the summer I would recommend beach hoping, (seriously they are everywhere and you don’t spend time in the Okanagan and not go to the beach, that is just common sense). Spending some time in our (Vernon’s) historic downtown, checking out all the shops… mostly just to the candy store, and lastly finding some nice trails with great views, this place is beautiful. Is your morning drink coffee, tea, soda or something else? I will end the questions there, though I do have to say that I really loved all of Little Birds Dad’s questions, and if I had chosen to do my response posts in the extremely clever way that he did, I would have happily delved deep into answering each and everyone of them… but as previously mentioned…I am lazy. –An Arkham Kind of Girl: though I know I am not allowed to re-nominate, I was nominated by her for a different award and I do believe she belongs here as a nominee for the Liebster award. Her post are always quite entertaining to read. –Beeeee in my bonnet: OK well a very new blog, but I have to say I was hooked just from her introductory post. I have a guilty pleasure for reading rants and she is a MOM as well! Mom+rants=defiantly reading that! Plus any blog that makes me want to read more just from reading one post is, in my opinion, a blog worth nominating! –Perfectly Imperfect: Her children are adorable and I find her blog to be both inspiring and still filled with humor over everyday life, defiantly worth going by to check out! –M & A’s World: I just love her photos and her children, and I love the way this blog is done. You might find some humor, some great stories, even a rant or two! OK OK so I apologize to my last nominees for not going into a descriptions, it is getting late and my brain is falling asleep and the word count high. BUT I will say that I really do enjoy all of your blogs very much, and to those of you reading you really should go check all of them out! •What motivated you to start blogging? •If you could ask only one thing of your children, what would that be? •What is your guilty pleasure as a parent? eg. polishing off some wine after a busy day and all the kids are in bed. •What is your best “go to” dinner when your imagination fails you and you don’t feel like cooking anything else? •What is your most favorite thing to do during your “kid free” time? •What is one inanimate object in your home that you just could not live without and why? •What is your favorite quote of all time? •Who is your favorite author and why do you love them? •What is one thing that you used to love doing as a kid that you still secretly enjoy doing? •What is the best advice you can give other parents on how to cope with stress? Boy these things really are a lot of work Itellya! But what a joy it really is to find out that I had been nominated by so many great bloggers. This is such a wonderful way to get to know more about those out there in the blogging community, and to find great blogs that you otherwise might not have come across. I very much enjoy participating in these… although #1 next time I will not wait so long to write a response post… that is, if procrastination lets me. And #2 never, never, never again doing this at night… ever. Thatisall. P.S Please pardon any spelling mistakes or grammatical errors… I just want to… go……… to………. Great! Off to go have a read!! 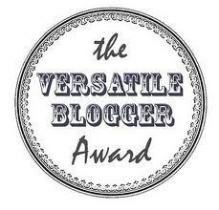 Thank you for the nomination of notatypicalmom.com for the Versatile Blogger Award! Will be posting responses to your questions soon! Great 🙂 so glad you accepted!